Stagflation is a period of rising inflation but falling output and rising unemployment. Stagflation is often caused by a rise in the price of commodities, such as oil. Stagflation occurred in the 1970s following the tripling in the price of oil. 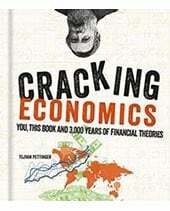 A degree of stagflation occurred in 2008, following the rise in the price of oil and start of the global recession. 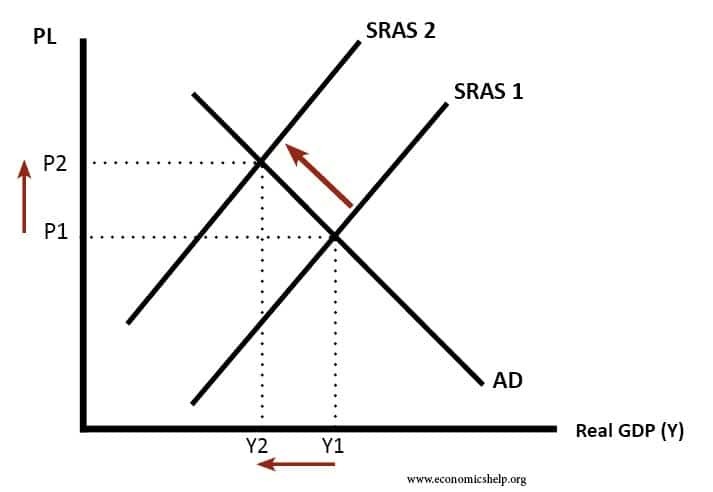 Higher oil prices increase costs of firms causing SRAS to shift to the left. Oil price rise Stagflation is often caused by a supply-side shock. 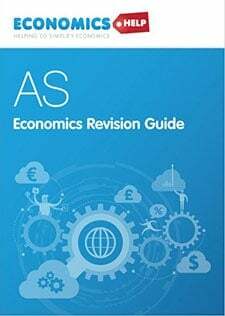 For example, rising commodity prices, such as oil prices, will cause a rise in business costs (transport more expensive) and short-run aggregate supply will shift to the left. This causes a higher inflation rate and lower GDP. Powerful trade unions. If trade unions have strong bargaining power – they may be able to bargain for higher wages, even in periods of lower economic growth. Higher wages are a significant cause of inflation. Falling productivity. If an economy experiences falling productivity – workers becoming more inefficient; costs will rise and output fall. Rise in structural unemployment. If there is a decline in traditional industries, we may get more structural unemployment and lower output. 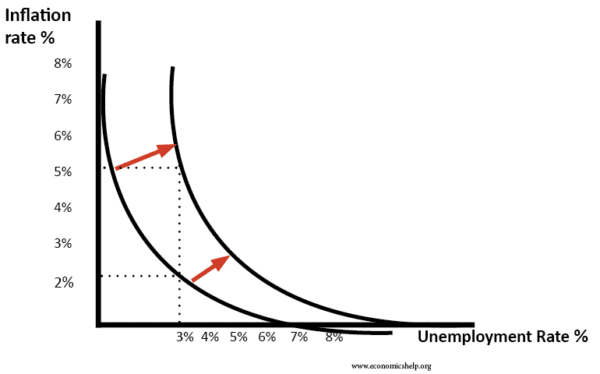 Thus we can get higher unemployment – even if inflation is also increasing. People may talk about stagflation if there is a rise in inflation and a fall in the growth rate. This is less damaging than higher inflation and negative growth. But, it still represents a deterioration in the trade-off between unemployment and inflation. The traditional Phillips curve suggests there is a trade-off between inflation and unemployment. A period of stagflation will shift the Phillips curve to the right, giving a worse trade-off. Phillips curve shifting to the right, indicating stagflation (higher inflation and higher unemployment. 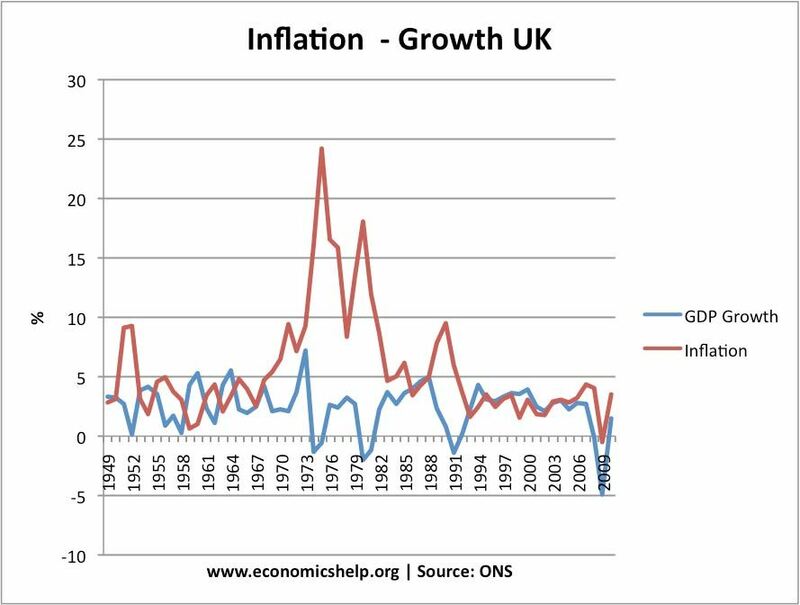 In 1974, we have an inflation spike of 25%, at the same time, we see negative GDP growth. This was caused by the oil price boom and also end of the Barber Boom. 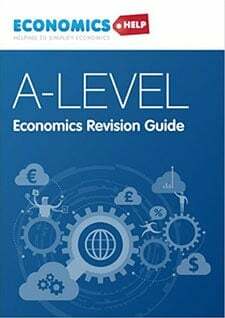 In 2011, the UK experienced a rise in inflation to 5%, at the same time, the economy remained in depression with negative growth / very low growth. Impact of devaluation on the value of the Pound increasing import prices. 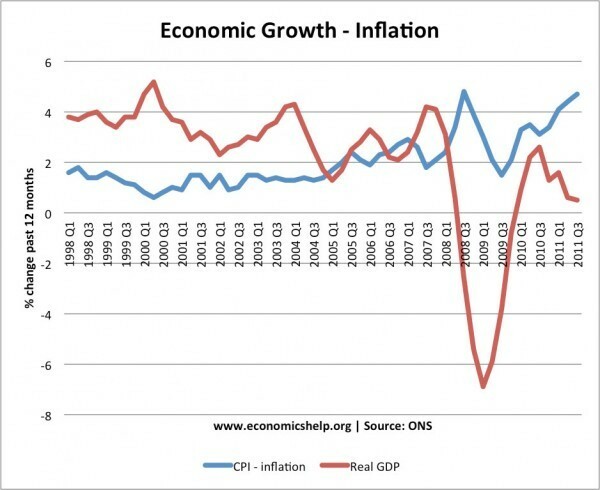 Impact of higher taxes, which increased inflation but reduced living standards. 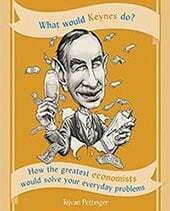 There are no easy solutions to stagflation. Monetary policy can generally try to reduce inflation (higher interest rates) or increase economic growth (cut interest rates). 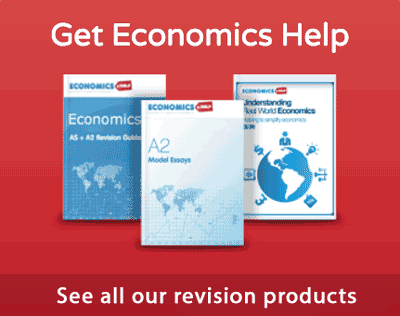 Monetary policy cannot solve both inflation and recession at the same time. One solution to make the economy less vulnerable to stagflation is to reduce the economies dependency on oil. Rising oil prices are the major cause of stagflation. In 2010/11, the Central Bank decided to keep interest rates low (at 0.5%) because they felt low growth was a bigger problem than some temporary cost-push inflation.